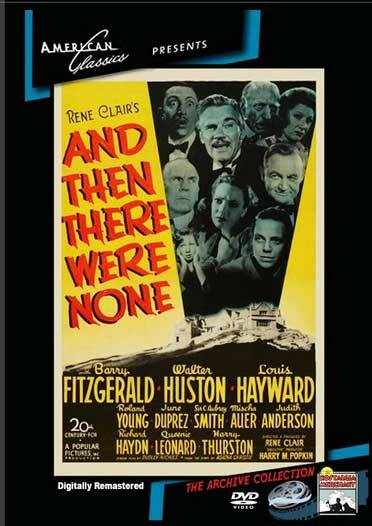 And Then There Were None – Based on Agatha Christie’s novel and subsequent stage play. Ten people are invited to an isolated island, only to find that an unseen person is killing them one by one. Could one of them be the killer? – DVD, Digitally Remastered. 1945 – BW – 96 Minutes.